A new paper exploring the ethical issues related to Learning Analytics in the context of the Australian Higher Education sector has been published. The discussion of these issues has resonated in this community since its initial stages (see the keynote presentation at the 2018 edition of the International Conference on Learning Analytics and Knowledge by Professor Neil Selwyn for an example). In our interaction with institutional stakeholders, we have detected the need to complement existing policies and frameworks with more precise deployment guidelines. This paper brings together numerous principles, frameworks, and studies proposed in the past and tries to distil concrete guidance with respect to seven key considerations. 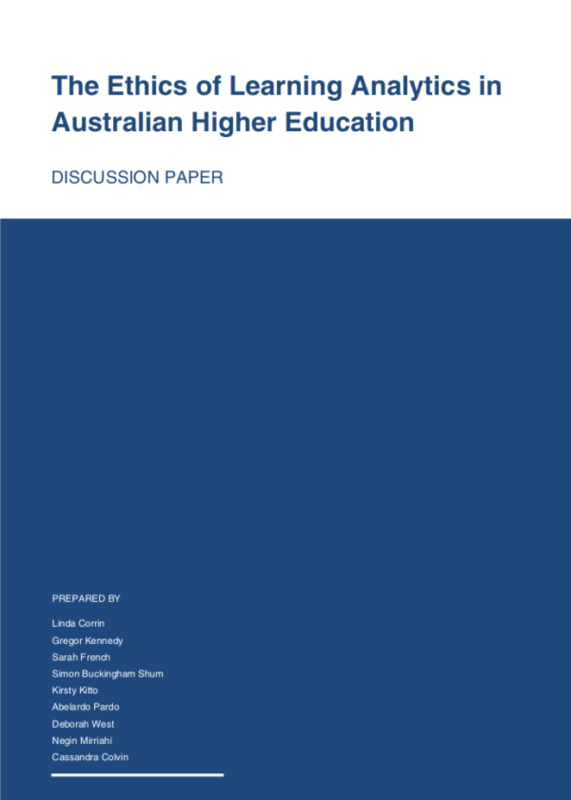 Although the paper is written in the context of the Australian Higher Education sector, its findings will have an easy translation to other contexts and for sure will contribute to cement these considerations as an intrinsic part of the field.